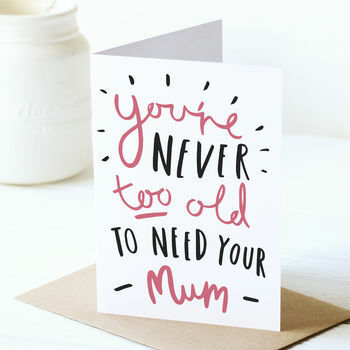 A bold, simple and fun Mother's Day card, sure to make your dearest mum smile! Made from 250gsm white card and printed using high quality inks. 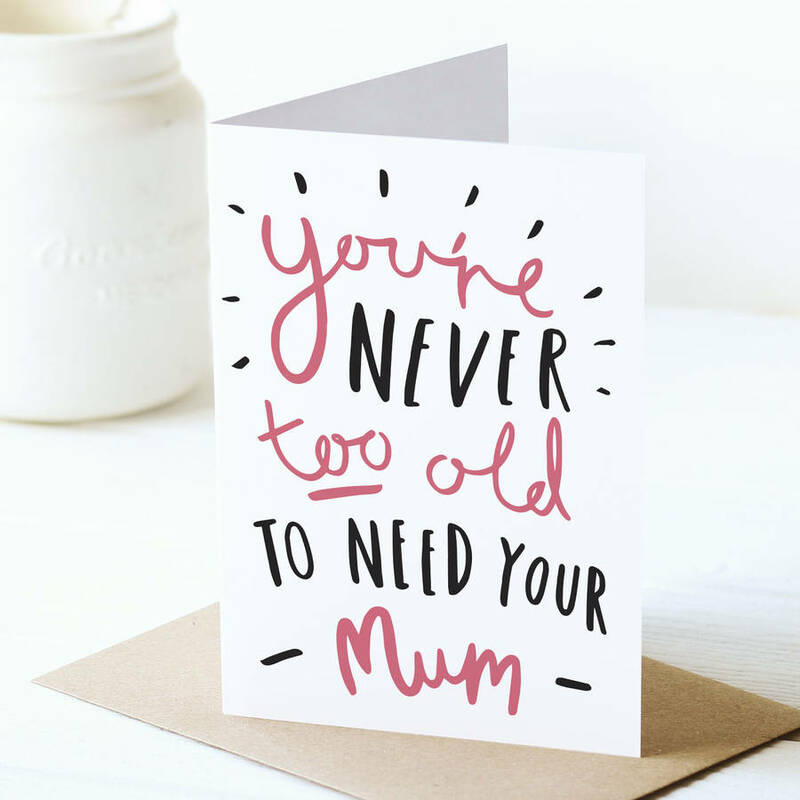 The Mother's Day card is 105 x 148.5mm (A6) and comes with an accompanying kraft envelope.